Pre-installed hard drive can normally support 24/7 video storage for 7 days. 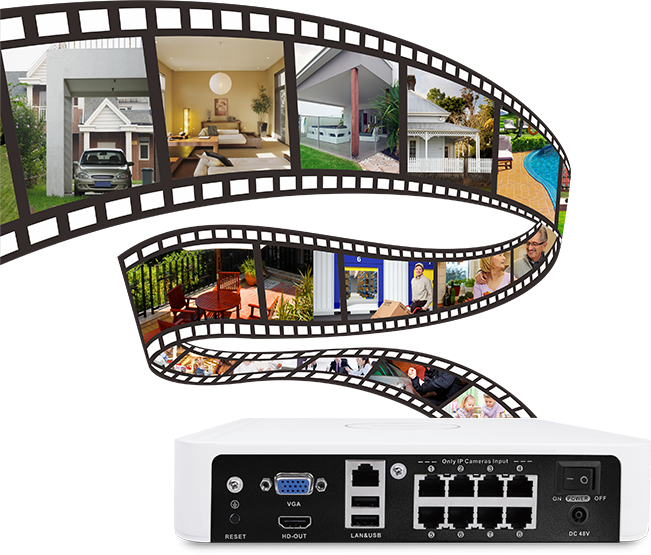 With smart record technology specially designed for longer storage, you can view the video in the past 14 days. 1TB hard drive has been installed for FN3108E-B4-1T, and 2TB hard drive for FN3108E-B8-2T. 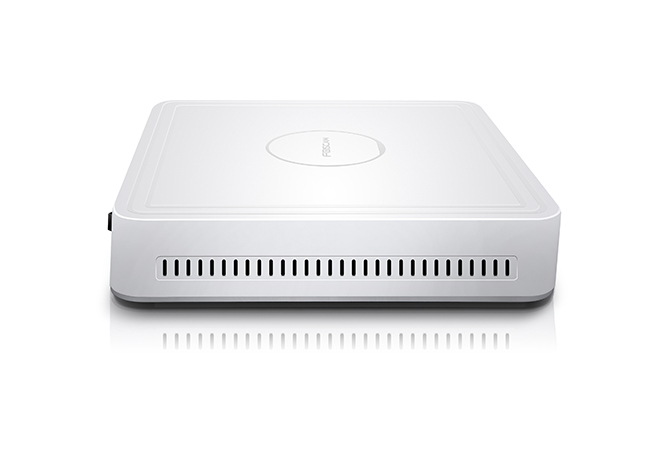 NVR in this system supports up to 4TB hard drive. 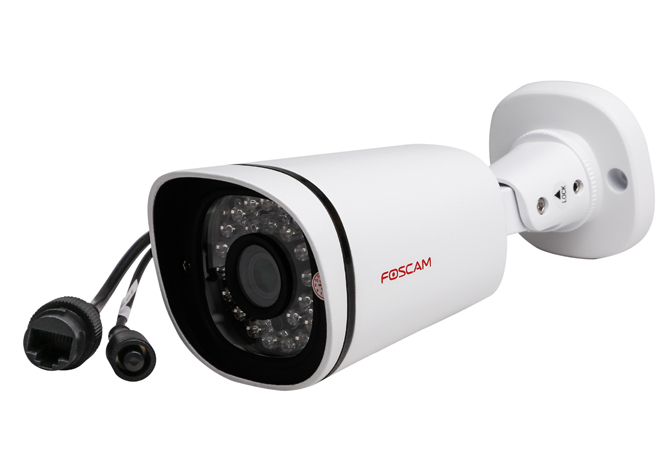 Video storage time is calculated on the basis of pre-installed hard drive and the condition that no additional camera is added to the system. 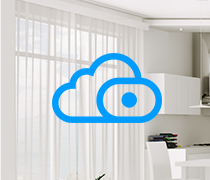 Smart record is applicable to manual or schedule recording mode. 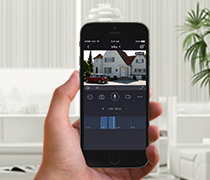 It is suggested motion detection recording should be selected all the time to avoid the frame of detected motion is extracted. 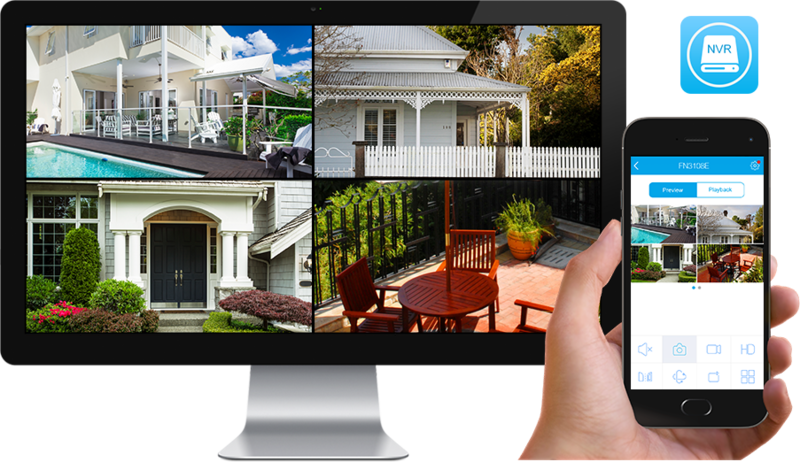 No security system in the market can match all your needs? 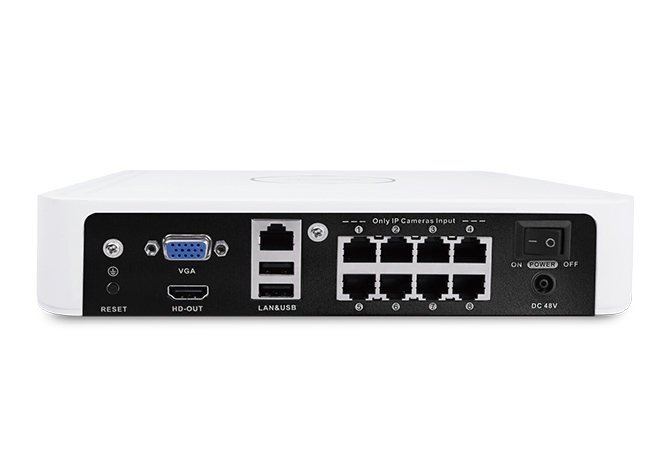 This system supports connection of any ONVIF compliant camera due to its strong compatibility. How wonderful it is for DIY a unique security system! 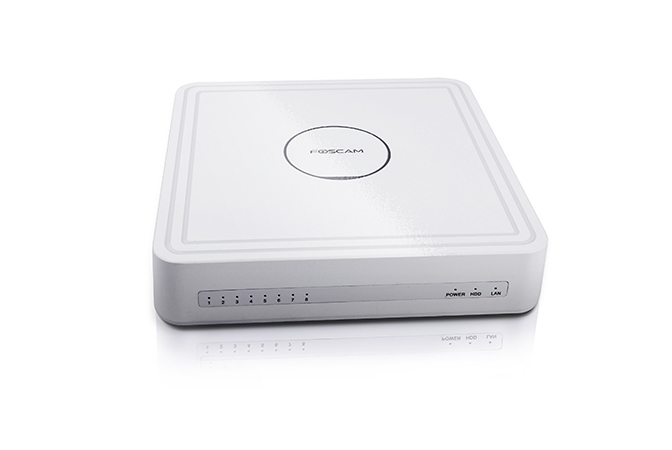 Tips: Separate power supply is indispensable to each additional IP camera which does not support standard PoE. 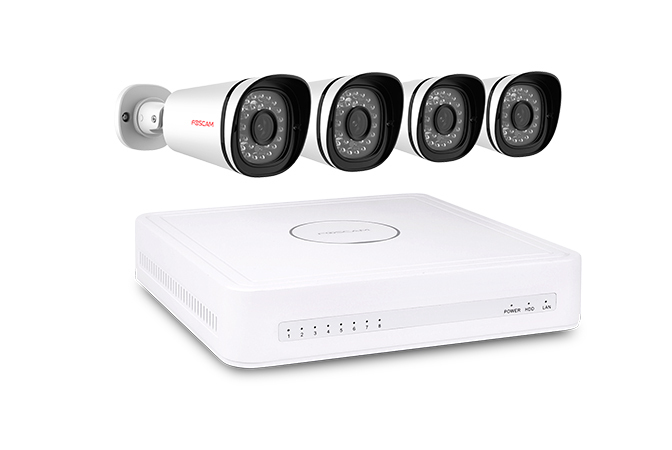 Compared to standard analog video, this 720P security system allows you to see more of a room and get clearer details with three times more resolution. In this way you can install fewer cameras but cover your entire space. 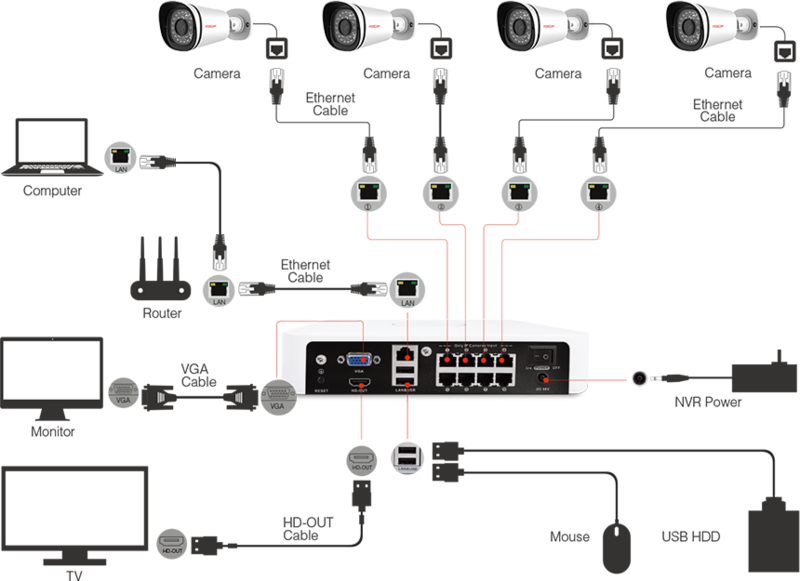 You don’t need to add each camera to this system one by one. 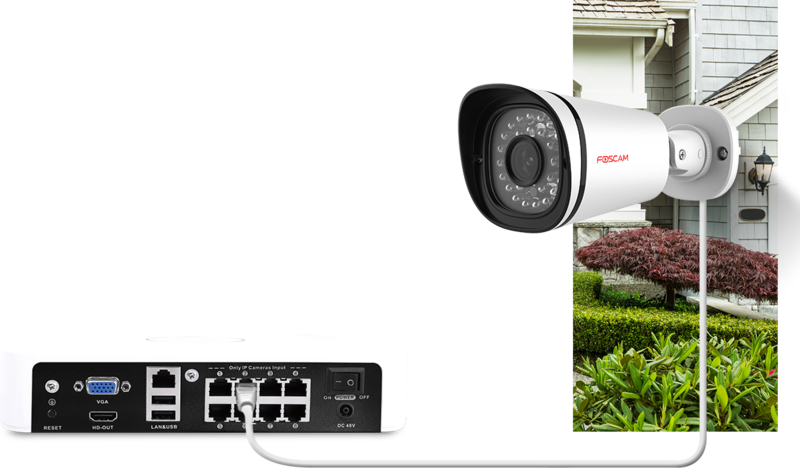 Just log in, and you’ll gain access to all cameras equipped in the system by selecting “Automatic adding IP camera”. One click is enough! 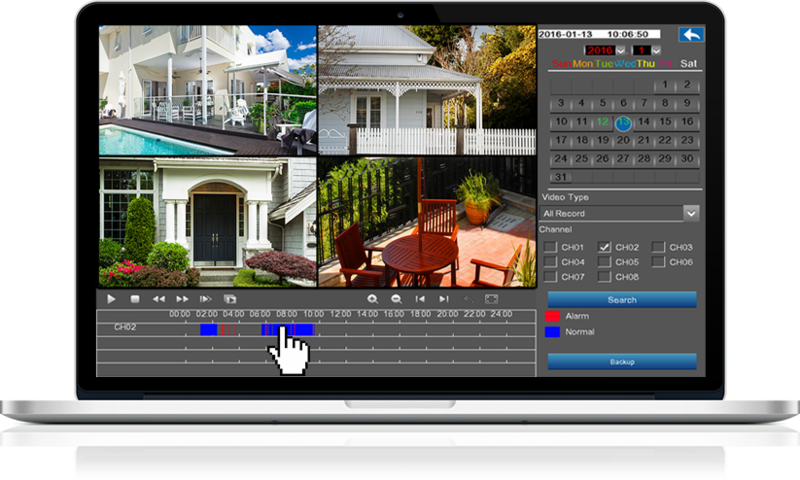 Designate outstanding display split screen for a camera, which makes it convenient for you to check the location deserving special attention. When the video on a certain split screen is abnormal, you know exactly which channel should be checked. Trouble shooting becomes much easier, right? Maybe you need more cameras to cover larger space, or you need to replace the old failed camera looking ahead into the future. 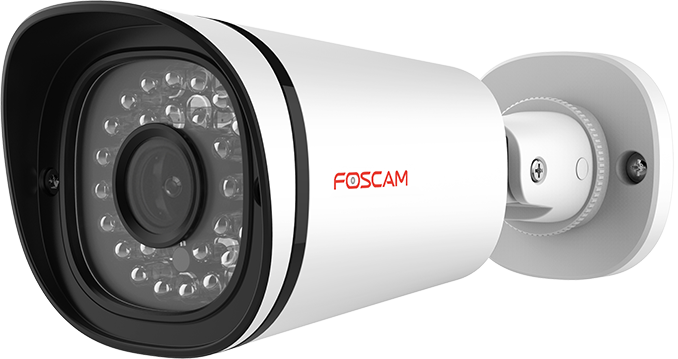 FOSCAM FI9800E is standing by to meet your possible demand.